This is another exceptional watercolour by the very well-respected West Yorkshire artist J. Barrie Haste. 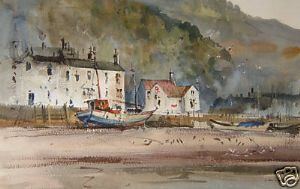 It is one of several similar paintings in his series beautifully depicting the traditional North Eastern Yorkshire Coast. In this instance, the picture depicts Old Scarborough with the some of the now long-gone fishing boats and the old buildings in the background. 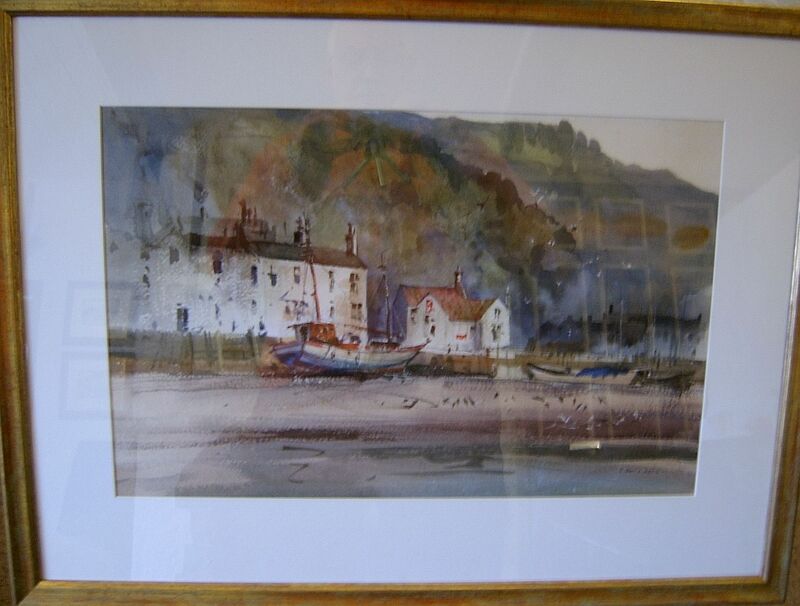 It is entitled verso, "Old Buildings & Fishing Vessels Scarborough Below Castle". The image measures 13.5 (34 cms) x 21 inches (54 cms) and is supplied on a hand-cut waterline mount using Artcare mountboard to help protect the painting from deterioration. The mounted picture has then been glazed and professionally framed. The border and frame add some 6cms to each side. It is signed by the artist at the bottom right-hand side. Verso as described above.